The HWU Engineering Department oversees operations of the GIS, 811 line locates, Automation, IT department, and is responsible for the development and maintenance of the distribution system hydraulic model. This department also works with the local planning agencies, providing assistance to developers on new construction projects. Projects for the Long Term Control Plan (LTCP) and other projects are documented with descriptions and photos. Click here or on the image below to read more about our ongoing projects. HWU utilizes a computer model of our entire water distribution system served by our North Water Treatment Plant. The model provides analysis information on various aspects of our system. The results can be shown as both graphs and tables (spreadsheets). Click here or on the image below to read more about our modeling capabilities. Technical manuals for Potable Water Facilities, Sanitary Sewer Facilities, and Stormwater Regulations are published in the Governance > Technical Standards section of this website. The goal of HWU’s Strategic Plan is to develop a cost-effective and environmentally sound strategy for improving the water, wastewater, and stormwater systems in the City of Henderson to accommodate existing needs and projected growth to the year 2025. Our Strategic Plan is published in the Governance > HWU Strategic Plan section of this website. 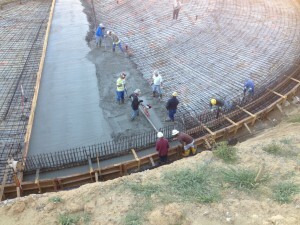 Planning a home improvement job or about to start any other project that involves digging underground? Here’s what to do first! 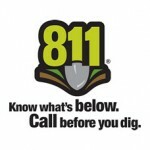 Call 811. See additional information on our Kentucky 811 page. 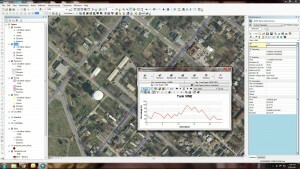 HWU has made a large investment incorporating our collection/distribution system information into the City/County GIS. The information contained in that system is updated as new lines are installed and old lines are located by GPS. The information shown is imperfect but is the best we have available at present. While we do not guarantee the information shown, we have made it available on the City/County web portal. GIS information is not a substitute for 811 location, nor should it be used for the design of facilities. It is presented as what it is: the best information available in a readily usable format. See the disclaimer, here. See additional information on our Information Systems page. See additional information on our Automation page. See additional information on our GIS page.